Speed Networking at Mile Wide Beer Co.
New Year. New People. New Beer! Yeah, we realize it may not be new beer to you, but we guarantee you’ll meet new people. Join us for another round of speed networking to kick off 2018. If you’ve not been to a speed networking event no worries, it’s simple. You sit and talk to someone across the table for just a few minutes to meet new people or talk with old friends about their #2018goals. This is why your professors taught you that elevator pitch. Tickets are $5 and include a complimentary drink and light appetizers. Special thanks to our friends at Mile Wide Beer Co. for hosting! This is a FREE screening you don’t want to miss! Our future is designed. 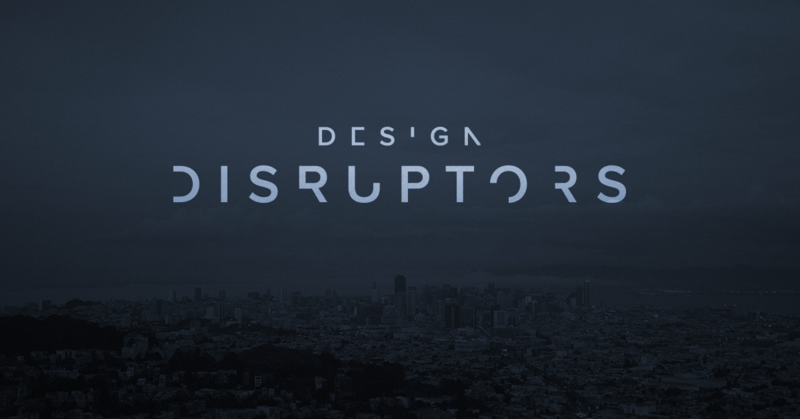 DESIGN DISRUPTORS is a full-length documentary featuring design leaders and product designers from 15+ industry-toppling companies—valued at more than $1trillion dollars combined. Check out the trailer on YouTube here. The film chronicles the true nature of design and the design-driven business revolutions being shaped around the world through the designers eyes. Get a never-before-seen look into the perspectives, processes, and design approaches of leaders at industry-toppling brands and discover how these companies are disrupting billion dollar industries through design. Drinks (adult beverages, soft drinks, and water) and pizza from Papa John’s will be provided. Seating is limited—reserve your seat today! What’s the next disruptor in the technology space? It may not be Fark.com, but its founder, Drew Curtis, has ideas on what will. 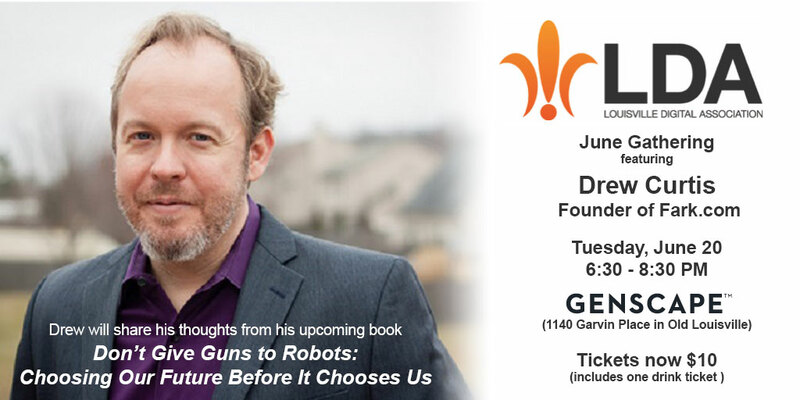 Curtis, who tried his own hand at disruption as an independent candidate for Governor of Kentucky in 2015, will share thoughts from his upcoming book Don’t Give Guns to Robots: Choosing Our Future Before It Chooses Us at the Louisville Digital Association’s gathering on June 20. Curtis is a widely respected media critic and technology influencer. Fark.com ushered in the era of social news and link aggregation when it sprung to life in the late 1990s. The site was the first independent blog to earn over $1 million per year. A keen curator of popular culture, Curtis parlayed his media criticism into his first book: It’s Not News, It’s Fark: How Mass Media Tries to Pass Off Crap as News in 2007 – a decade before “fake news” became a mainstream concern. His current book project focuses on near-term technology disruptions and what we can expect from the world around us in the coming years. It is slated to be published in the spring of 2018.